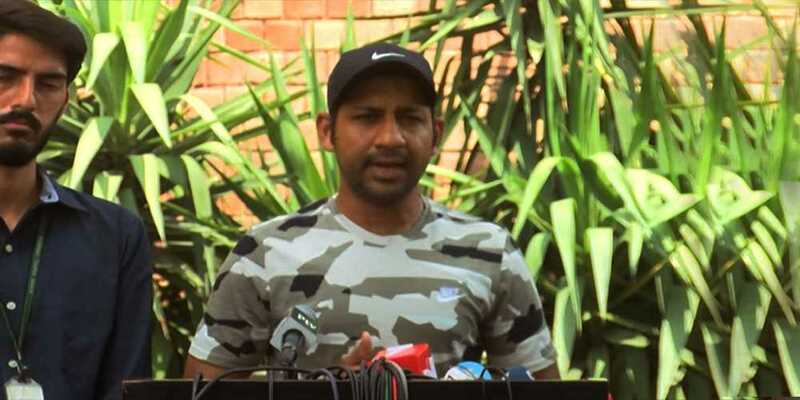 Sarfraz Ahmed, the Pakistan captain, expressed happiness in his team's preparations ahead of the Asia Cup 2018, vowing to go into the game against India fully prepared. Matches between India and Pakistan have always been exceptionally intense, and with the teams facing each other only in multi-team events in recent years, every match between them attracts that much more anticipation from fans. Ahmed acknowledged that the upcoming fixture against India will be particularly important. Before that game, Pakistan will face Hong Kong, who surprised one-day international teams Nepal and United Arab Emirates to secure the sixth and final berth for the event. Pakistan will hope to generate momentum in that match before heading into the all-important encounter. "Every match against India is extremely important" Ahmed said. "Momentum is very important, so we'll try to generate momentum in the first game and go into the fixture against India thoroughly prepared." The last time the sides squared off was at the final of the ICC Champions Trophy 2017, which Pakistan won by a thumping margin of 180 runs. But Ahmed feels that will have no bearing on the Asia Cup contest. "That match is in the past. It was almost one-and-a-half years ago. So I don't think we should consider it that much. All professional teams put the past behind and look forward. Both teams will do the same." In a tournament featuring Asia's best teams, Pakistan can't afford to train all their attention only on India. Teams like Bangladesh, Sri Lanka and Afghanistan are perfectly capable of defeating their more fancied rivals, with Hong Kong bringing the X-factor. "I've seen all the squads and they're all very strong, no team can be taken lightly. Teams will have to play very good cricket if they are to win the tournament," Ahmed agreed. Pakistan will have bit of an advantage over other sides as they have best knowledge of the conditions, with Dubai and Abu Dhabi (as well as Sharjah) having hosted Pakistan's home games in recent years. Based on his knowledge of how the wickets play, Sarfraz said teams will look to bat first. "The weather is hot, and it becomes difficult to bat in humid conditions under lights because the fast bowlers get some swing," the 31-year-old said. "We will try to adjust to the conditions. We have had two-three sessions under lights. Of course, every side will look to bat first and put runs on the board due to the hot weather." But it's not just fast bowlers who will have assistance – on the dry UAE pitches spin is sure to play a substantial role. Sarfraz feels his team is prepared in all departments, stressing on the ability of his bowlers to defend anything over 300. "Pitches are on the slower side in the UAE, so spinners will have a crucial role to play. Our batsmen and bowlers have been in good form. We will look to score more than 300 if we bat first because we possess a bowling unit that can defend that total. We are not focusing on one area, we will focus on all three aspects of the game and try to put a good show."